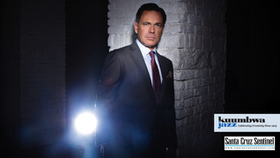 GRAMMY® winner Kurt Elling is among the world's foremost jazz vocalists. 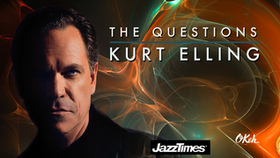 He has won every DownBeat Critics Poll for the last fourteen years and has been named "Male Singer of the Year" by the Jazz Journalists Association on eight occasions. An interntional jazz award winner, he has also been GRAMMY nominated a dozen times. Elling's rich baritone spans four octaves and features both astonishing technical mastery and emotional depth. His repertoire includes original compositions and modern interpretations of standards, all of which are springboards for inspired improvisation, scatting, spoken word, and poetry. The New York Times declared, "Elling is the standout male vocalist of our time." 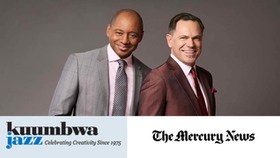 The Washington Postadded, "Since the mid-1990s, no singer in jazz has been as daring, dynamic or interesting as Kurt Elling. With his soaring vocal flights, his edgy lyrics and sense of being on a musical mission, he has come to embody the creative spirit in jazz." Elling was the Artist-in-Residence for the Singapore and Monterey Jazz Festivals. He has also written multi-disciplinary works for The Steppenwolf Theatre and the City of Chicago. The Obama Administration's first state dinner featured Elling in a command performance. Elling is a renowned artist of vocalese-the writing and performing of words over recorded improvised jazz solos. The natural heir to jazz pioneers Eddie Jefferson, King Pleasure and Jon Hendricks, Elling has set his own lyrics to the improvised solos of Wayne Shorter, Keith Jarrett and Pat Metheny. He often incorporates images and references from writers such as Rilke, Rumi, Neruda and Proust into his work. 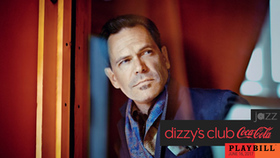 The late poet and Bollingen Prize winner Robert Creeley wrote, "Kurt Elling takes us into a world of sacred particulars. His words are informed by a powerful poetic spirit." 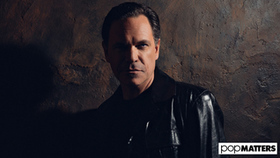 Said Robert Pinsky, former Poet Laureate of the United States, "In Kurt Elling's art, the voice of jazz gives a new spiritual presence to the ancient, sweet and powerful bond between poetry and music." 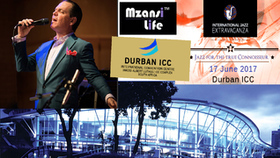 Kurt Elling has toured vigorously throughout his career, thrilling audiences throughout the world. In that time he has led his own ensemble and has collaborated with many of the world's finest orchestras. 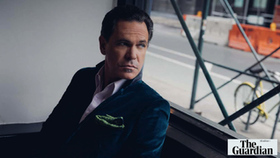 Passion World, Kurt Elling's latest recording, culminates nearly five years of collecting and honing songs – and in some cases writing new lyrics – that express love, romance and heartbreak around the world. Throughout his travels, Elling has observed how deeply-felt passions are shaped in countless ways be each unique culture. Those insights hve guided the creation of Passion World, a tour-de-force project that is vibrant with diversity, celebrating what makes us all human. In concert Elling tells rich stories about exotic places, cultures and times. Passion World is a musical magic carpet taking you on a fascinating journey through the realms of romance. 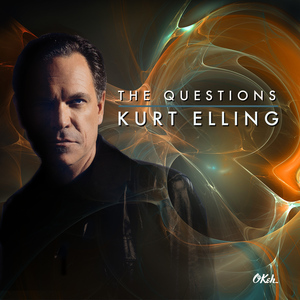 The Questions, Kurt Elling's newest studio recording, is his musical response to this moment in history and the widespread anxiety of our times. It touches artfully on challenges – personal, political, global, spiritual, and existential – and on hopes and aspirations for the future. Elling offers a vibrant and surprising choice of songs, from Bob Dylan and Paul Simon classics to jazz, Broadway, and the Great American Songbook, plus two new originals. 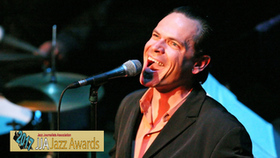 When it comes to expressiveness, technique and sheer beauty of voice, I can think of no male singer alive to equal Kurt Elling. Among these 10 tracks are elaborate musical and verbal constructions built around existing songs or instrumental pieces, with words by Elling interspersed with extracts from the works of various poets. But the arrangements, the instrumental playing and the minute perfection of the whole production demand to be taken seriously. Elling's co-producer, Branford Marsalis, as well as contributing some gloriously fluid soprano saxophone, is clearly a moving spirit here. Another is the late Jon Hendricks, master of the art of jazz and words, to whose memory the album is dedicated. 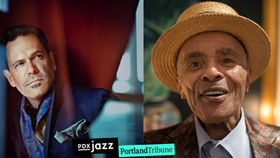 At this year's PDX Jazz Festival, Grammy Award-winning Kurt Elling pays tribute to the late Jon Hendricks, with daughters Michele and Aria Hendricks performing along with Portland stalwarts Randy Porter and Nancy King, and a performance by the Portland State University Jazz Vocal Ensemble under the direction of Sherry Alves. Performances are on Thursday, Feb. 15, and Friday, Feb. 16, and there'll be more than 30 festival concerts overall around Portland at several venues.